In 1959, São Paulo's TV Record, Channel 7 created an Award to be given to two-dozen of the best-selling single records of the previous year. United Broadcasters' Employee Association [AFEU] would meet at the first week of the new year to choose those records or acts that had been the most popular. The award would be called 'Chico Viola' to honour Francisco Alves who had been the most popular Brazilian male singer in the 1930s and 1940s having died in an automobile crash 7 years before, in 1952. Alves was still revered in the nation by the late 1950s even though he is completely forgotten nowadays, differently from Carmen Miranda in the US or Carlos Gardel in Argentina. 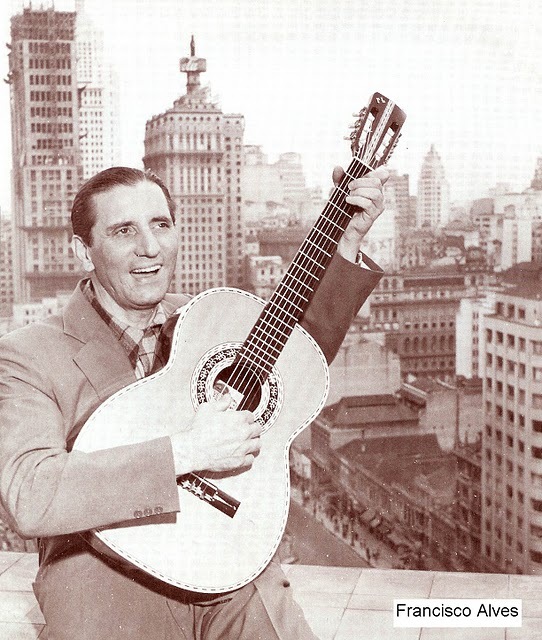 Francisco Alves AKA Chico Viola sings & plays his guitar on top of São Paulo City, Brazil. These Chico Viola Awards stattuets soon became a covetous goal of those singers and musicians who excelled during the year. Here are a few lists of Chico Violas given out from 1958 to 1965. I still intend to cover 1966, 1967 and 1968. 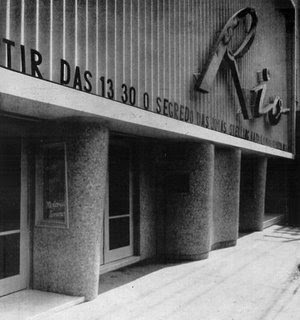 Cine Rio, seen here playing 1950's 'Asphalt Jungle' ('O segredo das joias'), gave way to the new Teatro Record on Rua da Consolação, 2008 opened in January 1959 for the first Chico Viola Awards ceremony. Maybe because by that year's end Brazil was victim of a second military coup that shut down Congress. It was a coup within the coup since Brazilians already lived under a military dictatorship since April 1964. In 1968 Brazil was thrown into a dark period that lasted the whole of the 1970s. The era is also called the Lead Years. This is what it felt like being awarded a Chico Viola trophy in the 1960s. 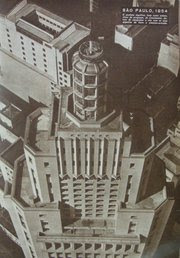 This is the top of Sao Paulo State Bank, the tallest building in Brazil's largest city - as seen in a photo shot in 1954.